We’re not sure what the heading means either, however, the good news is that Aviation 72 will soon be offering their 1:72 scale take on the Saab Gripen jet fighter (#AV7243001). Long a staple of the Swedish Air Force, the Gripen is both affordably priced and attractively regaled, weighing in at just $57.99 for all you get. Look for a Gripen fly over some time in February. There was a time when we were wondering if we were ever going to see Aviation 72’s long promised aerial armada. Now that their first flock of warbirds has seeded the clouds, it appears as if several more are right behind them this holiday season. The second iteration of the Saab Draken is based upon a plane that served with Sweden’s 10/02 squadron (#AV7241002). Also up for consideration is their second and third looks at the Saab Viggen fighter, which are both scheduled for an imminent takeoff (#AV7242002 and AV7242002). These and other new introductions are now up for pre-order. Strange as it may sound, Aviation 72’s inaugural 1:72 scale replica of the Swedish Saab Viggen is already sold out at both the distributor and manufacturer level. Thankfully, a second version is already taking wing and should be in stores later this summer. On a like minded note, the Aviation 72 Saab Draken is also sold out at our distributor, although we still have a few pieces left to fill any late comer orders. Reviews have been very positive so you may want to think long and hard about these scale replicas before passing up either one of them. First announced two years ago, Aviation 72 has finally posted pix for their upcoming Saab Draken jet fighter and Aerospatiale Gazelle helicopter. Intricately detailed yet affordable in price, both are on tap for an early 2013 release, with no doubt more liveries to be added to they mix in the coming months. Just when we were beginning to wonder if Aviation 72 was a serious contender in the diecast aviation space comes word that a photo of their latest entry has now been posted. 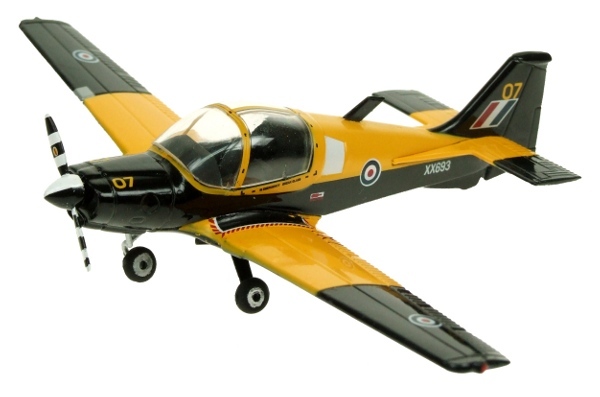 Originally expected some time in 2013, it now appears as if their RAF Scottish Aviation Bulldog 120/121 Trainer Aircraft may make it in time for the holidays (AV7225001). Two of their other replicas have already arrived, so we’re keeping our fingers crossed that this one will join their brethren on the store shelves. We’re happy to report that a great many new items are winging their way to us as we speak. 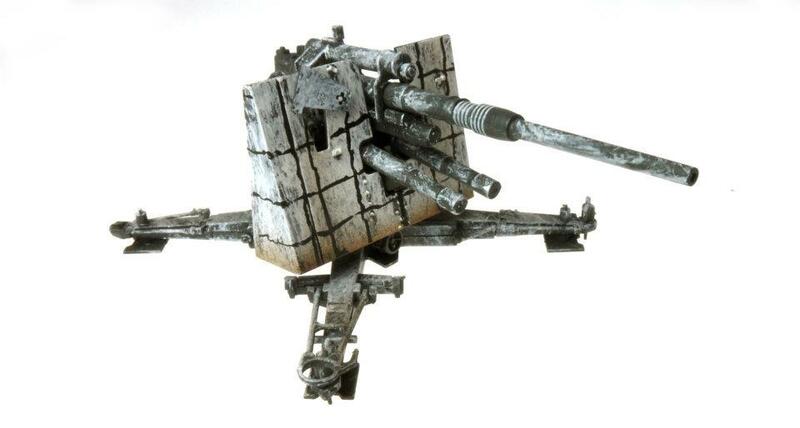 For openers, all six of Panzerstahl’s 88mm FLaK guns are expected, as is the first flock of Aviation 72 aircraft. Several new Hobby Master products are also on the docket, including their first ever British Comet cruiser tank.